Disable in Windows 10 the Aero-Peek Thumbnail preview for programs window and APPs, that fly out when hovering over the tabs in the Task-Bar! 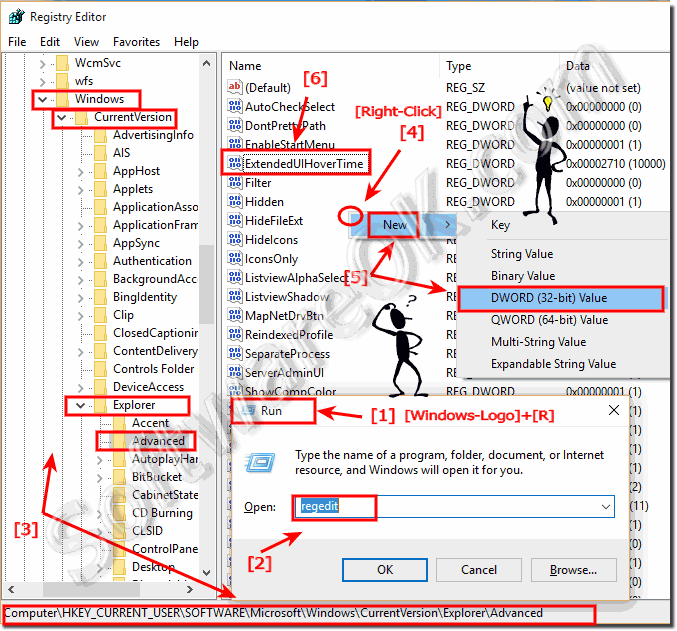 Turn off or on the Windows 10 Taskbar Thumbnail via Registry Key! and create new DWORD ExtendedUIHoverTime and set the value to 10000. (Image-1) Disable preview in the Windows-10 Task-Bar! 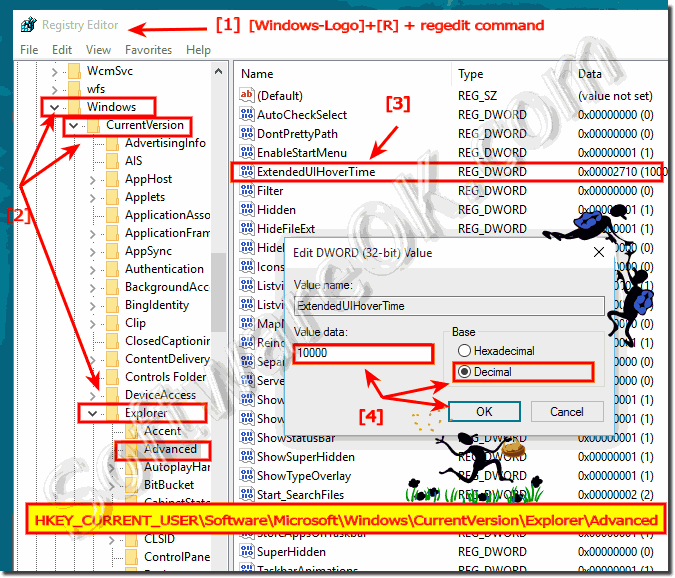 (Image-2) Disable Task-Bar Thumbnails Windows Preview via Reg-Key! (Image-1) Preview in the Windows 10 Task-Bar! To disable preview on taskbar applies for: Windows 10 Pro, Windows 10 Enterprise, Windows 8.1, Windows 8.1 Enterprise, Windows 8.1 Pro, Windows 8, Windows 8 Enterprise, Windows 8 Pro, Windows 7 Enterprise, Windows 7 Home Basic, Windows 7 Home Premium, Windows 7 Professional, Windows 7 Starter, Windows 7 Ultimate, Windows Vista Enterprise 64-bit Edition, Windows Vista Ultimate 64-bit Edition, Windows Vista Business, Windows Vista Business 64-bit Edition, Windows Vista Enterprise, Windows Vista Ultimate. Windows-10 - FAQ-132: Disable preview in the Taskbar of Windows 10, how to?